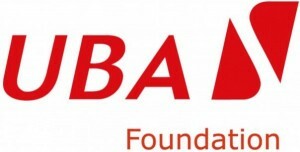 UBA Foundation, through its Annual National Essay Competition, is offering another opportunity for Senior Secondary school students in Nigeria to win university educational grants. This follows the commencement of the UBA Foundation National Essay Competition among senior secondary school students, organized by the Corporate Social Responsibility arm of the United Bank for Africa (UBA), where up to 2.25million naira will be given to three winners. Applicants must be senior secondary school students in Nigerian Secondary schools. Applicants must attach copies of their original birth certificates or photocopies of international passport data page. Applicants should send in hand written essay entries of not more than 750 words on the competition topic. The three winning finalists, who will be selected by a panel of three Nigerian professors, will get educational grants to study in African universities of their choice. Please note that terms and conditions guiding the competition shall apply to all winners. The decision of the judges is final. The essay competition is running concurrently with the ‘Read Africa’ project of the Foundation, which was flagged off recently by the Kenyan author, Ngugi wa Thiong’o. Under the ‘Read Africa’ initiative, role models in the society and top management of UBA Plc will be visiting secondary schools to mentor the students and give out copies of this year’s literature book, Weep not Child, by Ngugi wa Thiong’o to the students, courtesy of the Foundation.